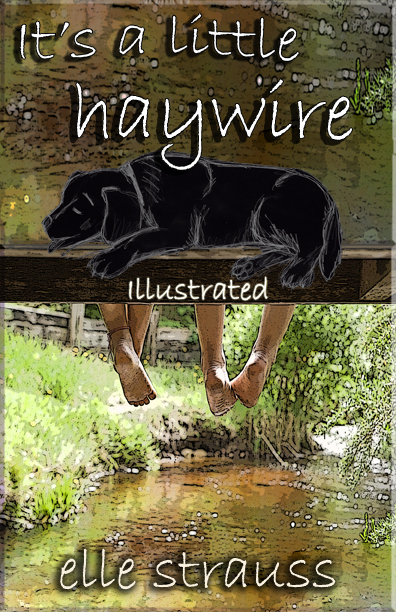 Owen True is eleven and eleven twelfths and has been “exiled” to the small crazy town of Hayward, WA, aka, Haywire, while his mother is on her honeymoon. 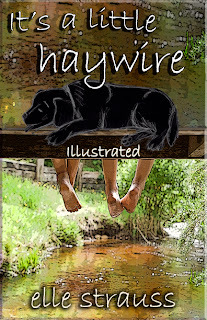 All he has to whittle away the time is the company of Gramps, his black lab Daisy, and his Haywire friends, Mason and Mikala Sweet. They don’t look so hot this year, in fact, the whole town has gone to pot since the mill shut down. Owen has his first encounter with a real life homeless man who ends up needing Owen’s help in more ways than one. But how does a rich city kid help the small town’s suffering citizens? And what is Owen to make of the fog train and its scary, otherworldy occupants that appears out of thin air on the old tracks behind Gramps’ house? Do they have the answer Owen is looking for? To read an excerpt, or to learn more about Elle and her work, check out her blog. It's a little haywire can be purchased here. Heather, this is great! The story sounds great. The cover is darling. I wish Elle's book the greatest success!!! Thank you for sharing it with us. She has a lovely writing style. I think you'll really enjoy it, and I know your grandkids will! Great concept. And who can resist a boy and a dog in a small, downtrodden town? Love the title and the cover, too. Great cover! So evocative of summer. I will look for this on my Kindle. So glad you like the cover Lin! *blushes* You'll enjoy the book just as much, I have no doubt! I loved seeing the cover the first time at Elle's blog. I hadn't realized you did the design. Great job, Heather. And I agree, the illustrated dog adds just the right perosnal touch. Sounds like an awesome book. So excited for Elle. Love your cover design. It sounds like a fun story and that's great cover. :) I love the line "eleven and eleven twelfths"--there's a lot of voice in that!